Former India captain Sourav Ganguly was appointed president of the Cricket Association of Bengal on Thursday, ending the suspense on who will take over the state cricket body following the death of Jagmohan Dalmiya. His appointment was announced by West Bengal Chief Minister Mamata Banerjee in the presence of senior CAB officials and state government ministers at the state secretariat building. In another major development, Dalmiya's son, Avishek, was inducted as one of the two joint-secretaries, replacing Ganguly, the current incumbent. Subir Ganguly will continue as the other joint-secretary while Biswarup Dey will continue as treasurer. Though the Chief Minister made it clear that the decision on Ganguly's appointment was taken by CAB officials and she was there to support their bid to take the game of cricket in the state forward, it was apparent that it took government interference to appoint Ganguly in place of the late Dalmiya. "We are going through a big crisis after his (Dalmiya) unfortunate death. Someone has to head CAB. Dalmiya loved cricket so much. So it's important that the people close to him (should run the show)... cricket family is most important. My only request to all of you that be together, remain united and take the Jaguda's (Dalmiya’s) legacy forward," CM Banerjee said, with interim sports minister Arup Biswas by her side. While some CAB officials had to depend on the interference of the ruling party, the Chief Minister clarified that it was a decision taken by the officials themselves. "It's not fair for me to interfere. I just want them to do well; I'm there with them like a deputy or colleague. It's what they have decided together," Banerjee said. "I should not be announcing this, but since all of them are requesting I feel that as someone (Sourav Ganguly) who had led India so many years should now take charge of the role and they should form the set up with Abhishek, Subir, Biswarup and all other senior members," she said. 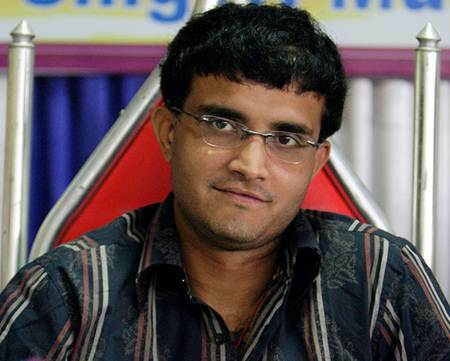 The 43-year-old Ganguly said, "Anything in life is a new challenge. I am particularly happy that Avishek is coming into administration as it is a very emotional time for him. Myself, Biswarup, Subir would all work together and there won't be any problems. We have 117 (actually 121) members and we will decide the way forward." While Dalmiya Junior, with no experience in sports administrative was the biggest gainer in this whole episode, the two big losers were treasurer Dey and senior joint-secretary Subir, who were harbouring aspirations of going into an election, the option of which ended on Thursday after the Chief Minister’s intervention.